Finally, a delicious coffee trend that doesn’t require complicated lingo! Cold brew coffee is taking the nation by storm, and with our 325 days of sun each year, Mesa is the prime place to sip a brew on ice. You’ve been drinking iced coffee for years, so what makes cold brew different you ask? Cold brew coffee is steeped in cold water for 12- 24 hours, whereas iced coffee is brewed hot and then poured over ice. Your cold brew will be less acidic, full-bodied, and slightly sweet. Good news for all you caffeine addicts out there: cold brew coffee has much more caffeine to offer than your traditional brews! We’ve rounded up some stops in Downtown Mesa that offer some unique ways to get your cold brew fix. If you’re looking to kick your cold brew up a notch, Jarrod’s has a nitro brew on tap. The nitrogen makes the coffee creamy, reducing the bitterness. 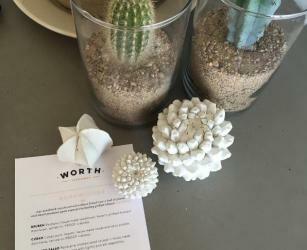 The cold brew offerings are worth the stop at Worth Takeaway. 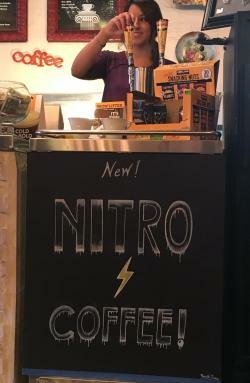 Not only do they have cold brew, and a brew on nitro, but they also offer a cold brew latte. Okay, I told you there wasn’t any complicated lingo involved, but you can find cold brew under yet another name: cold press coffee. Lost Dutchman Coffee will serve you up a tasty cup. Let us know where you pick up your cup of cold brew! Use #VisitMesa on social.